The Tru Melange Fan Diffuser with A/C Adapter included. The TruMelange Fan Diffuser has been our Top Selling Battery and AC adapter powered diffuser since we started selling this diffuser back in early 2000. 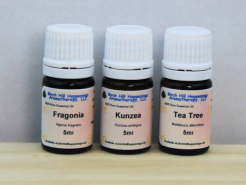 TruMelange Fan Diffuser is designed for use with pure undiluted essential oils and pure essential oil blends. 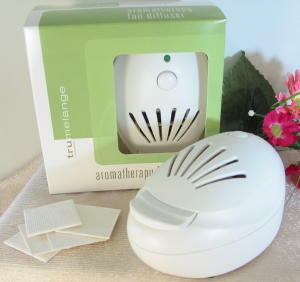 Incorporating the latest in diffuser technology, combining a quiet but powerful fan with a new high density aroma pad, this diffuser efficiently releases the pure essential oils into the atmosphere. This item is not eligible for free shipping at the Free Shipping Threshold. There may be a coupon you can use, so check them out. 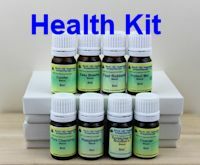 Simply pull out the little drawer holding the cotton pad, add 15-20 drops (adjust according to your needs, the essential oils used and the size of the room) of your favorite essential oil or oils, replace the drawer, and turn on. This unit uses a single speed fan. It can be run using Four AA batteries (not included). Comes with an AC adapter that plugs into wall outlet. Requires a 110-120 Volt Electrical outlet. The TruMelange fan diffuser vaporizes and disperses essential oils directly into the air. Ideal for use at home, offices, professional treatment rooms, and while traveling. It is very Portable, battery operated (batteries not included), or use with the AC adapter included in this kit. Please note that often times you have to purchase the adapter separately at a much inflated price. We include it here in the price at no additional charge. 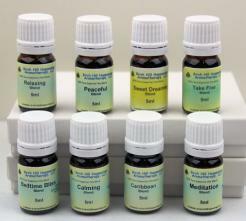 There are 5 natural high density aroma pad inserts included. Quiet and efficient. Safe for a childs room. 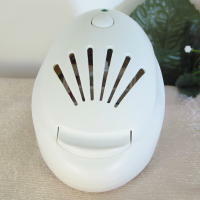 This diffuser is used by Hospitals and other Medical Facilities for use by their staff and is often purchased by their patients for use at home. As with any product that has an electric motor these units will not be noise free. You will hear a fan and motor sound. It should be a minimal "white noise' sound. This diffuser lasts forever!! I have 3 at work and 2 at home and although I keep adding more, I have not had to replace one! I know why it is a "best seller". Love this diffuser! I use it in my bedroom with some lavender and chamomile and in my family room. Now I need another for work to use for either those high stress days or when there are sick people around and I need some protection. Love that is has both battery and ac.